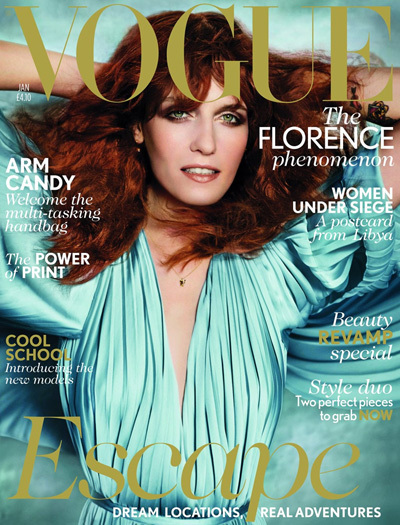 Florence Welch for the British Vogue's January 2012 issue.. . Wallpaper and background images in the Florence + The Machine club tagged: florence welch vogue 2012. This Florence + The Machine photo might contain miwani, giza glasi, vivuli, miwani ya giza, picha, headshot, and closeup.